Lock in a great price for Pousada Ecoporto – rated 9 by recent guests! 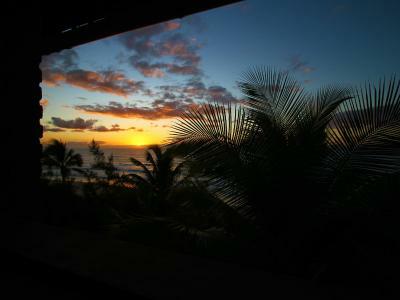 Clean, all rooms offer a beautiful sea view, great breakfast, friendly staff. It’s not close to the village, but it’s a 25 minute walk if you enjoy some walk along the beach and 5 minute car ride. They have a small pool area and a beautiful garden. It’s a three story building so if you have mobility problems, you should ask for a room at the first floor to avoid the steps. The staff was fantastic and friendly! The property was located about 5 min by car outside of the town center, about a 2km walk along the beach. The beach area is wavy but you have peace and quiet that is non-existent if staying closer to town. Just like the pictures, not much luxury, but just perfect location and layout. Great breakfast. Great staff too. Beautifully place and location. Calm, far from the Porto de Galinhas crowd. The sea in front is a bit rough, but the pousada has a nice swimming pool. The staff was very friendly and nice. Pity we spent only 2 days there. Neat pousada with very friendly personnel. 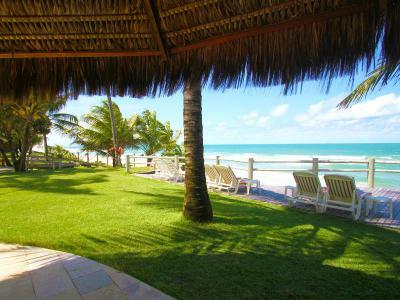 Located directly on a very clean and nice beach, far away from the tourist masses of Porto de Galinhas. However keep in mind that the sea has strong waves there. 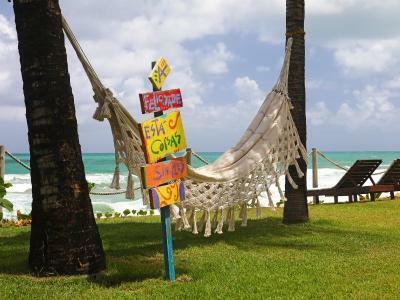 The pousada has a pool, deck chairs and hammocks, and offers towels, chairs and parasols for the beach free of charge. Breakfast has a good variety. Also, the air-conditioner in the room works well and silently. I can recommend to stay there! Great experience! Service was very friendly, we really enjoyed the pool area (and had more caipirinhas than we should :-)), and the beach felt almost private as it is about 3-4km away from the downtown core. Would definitely return! Located right beside the beach. Excellent choice for breakfast. Had one evening meal - very well prepared and presented. Can’t fault accommodation. Located a way from town center means quiet location. Bay in Porto de Galinhos is beautiful and coral pools at low tide a rare sight. We were looking for a place to relax while in Porto and this pousada offered exactly that: It's a 30min walk to the town centre, it has lovely sun beds, hammocks and nice swimming pool. 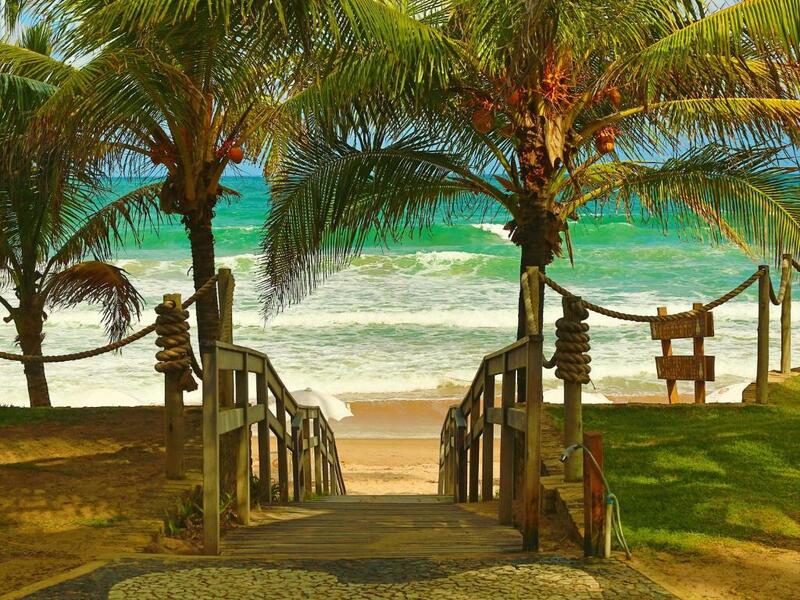 And you are a few steps from a quiet beach. Room was lovely as it has sea view and a balcony with a hammock. Breakfast was good too. For 15 reais (€4) you get taxi to town. 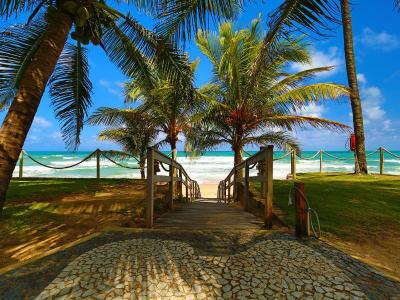 One of our top picks in Porto De Galinhas.Located beachfront in Porto de Galinhas, 1.2 mi from the city center, this guest house offers rooms with private balconies with sea views. It features a swimming pool with sea views and free WiFi throughout the property. 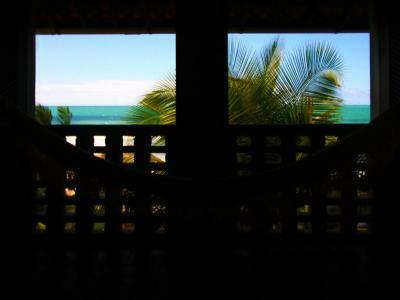 The colorful rooms at Pousada Ecoporto have balconies that include hammocks. Rooms are air-conditioned and equipped with a flat-screen TV with 12 cable channels, a mini-bar and a safety deposit box. Private bathrooms come with a hairdryer. 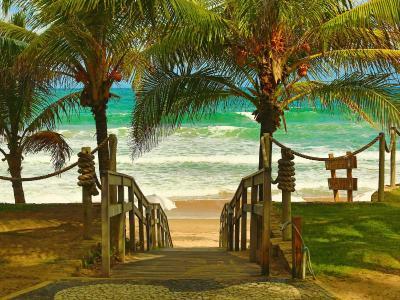 Pousada Ecoporto also features a la carte restaurant, and guests can benefit from a daily breakfast buffet with seasonal fruits, tapioca dish, juices and cakes. 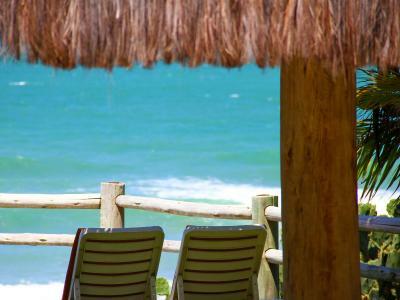 The property is located 36 mi from Guararapes International Airport. Free parking is possible on site. When would you like to stay at Pousada Ecoporto? This colorful, spacious room has a balcony with sea views and a hammock. There is also a minibar, air conditioning and TV. The private bathroom has a hot shower and a hairdryer. 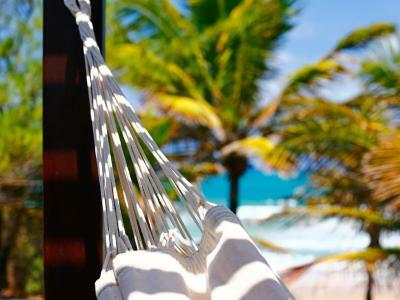 This spacious room has a balcony with sea views and a hammock. There is also a minibar, air conditioning and a TV. The private bathroom includes a hot shower and a hairdryer. 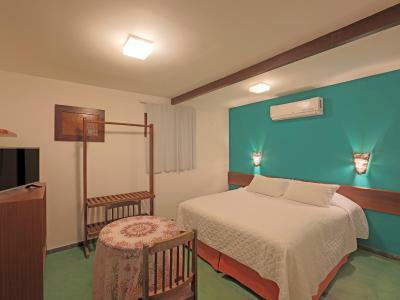 This double room has a TV, a safe, air conditioning, hairdryer and a mini bar. House Rules Pousada Ecoporto takes special requests – add in the next step! Pousada Ecoporto accepts these cards and reserves the right to temporarily hold an amount prior to arrival. 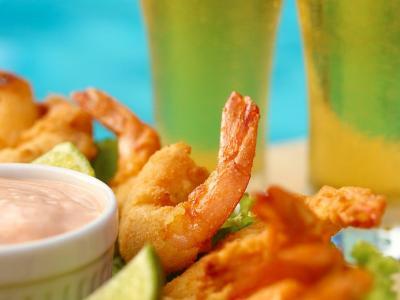 A few mistakes when we ordered drinks and food from the restaurant, nothing really annoying, we were on holidays! This hotel was probably one of the best hotels we stayed in during our 6 week holiday through South America. Our room was everything you could want from a beach resort...awesome ocean views, the sound of the waves, balcony to sit and have a drink...and all the facilities expected in a top hotel. The restaurant and food they serve is unbelievable! I can't talk highly enough about this! We ate dinner at the restaurant there every night we were there but one...we ate in the town at one of best restaurants and it was nowhere as good as the hotel's food. And double the price. Breakfast is also amazing with a huge selection. 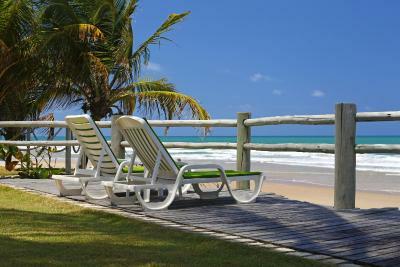 The location of the hotel is a 30min walk to the town and main beach. Some may find this annoying...but we loved it. I did the walk along the beach to the main beach 2/3 times a day. Some say that the ocean is too rough, but its just a normal beach with waves and some whitewater. I swam everyday in the ocean in front of the hotel. If you wanting that flat/calm ocean you can go to the main beach. You can also take an Uber or taxi to the town/main beach...this is a 5min drive. The pool area is also really awesome...with deck chairs, table and chairs, and hammocks scattered around. We never had an issue with somewhere to sit. The staff was incredibly friendly and helpful. But with us not being able to speak or understand Portuguese, communication was difficult at times. There was no one there that spoke English. But that is no fault of theres. You get by with Google Translate. I highly recommend this hotel to anyone...it is awesome!! Breakfast juices are not fresh. Some of the deck chairs were broken. The room has no chairs on the balcony, and we saw ants inside. Has nothing to do with eco other than all was cheap and low quality. To get to town center you must get transport or drive and not drink. 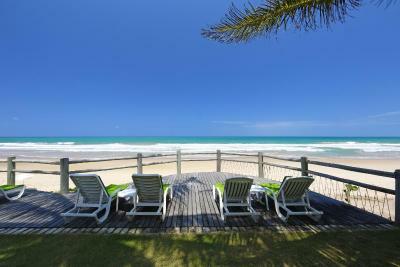 We couldn’t possibly recommend Pousada Ecoporto and Porto De Galinhas any more positively. Their staff were amazing, friendly, and helpful. The resort is a small 30 unit, geared to adults. The room was clean and housekeeping was very attentive. We’ve traveled extensively and in most destinations there is always a cause for security concerns at some point; we experienced nothing of the sort, no matter where we went night or day (obviously just keep your head about you). Note: No one will speak English so be prepared, the first English we encountered was after our 9 day stay, when we arrived at the airport check-in. Get an international data plan, use google translate, draw pictures, hand signals etc… everyone was very patient and we ended up figuring everything out. AKA don’t be that embarrassing American that leaves a bad review because no one spoke English for you. Food in the city shopping area was varied and inexpensive, in fact everything was inexpensive. Get a stack of local small bills before your trip, ATM's will give you 100 REAL and you will have trouble finding someone to cash it. Taxis's do not have card readers seems to be cash only. The weather! It rained most days :( Also for the price (€110/night) I was expecting a bit more luxury, particularly when comparing to other places we've stayed in Brazil at this price range. But Porto is an expensive town anyway and this didn't deter us from having a relaxing and enjoyable week there.